In the meantime, you can arrange with Qdos Contractor to complete an IR35 calculation for you. The IR35 calculation with one of their experts is a free service. You will need the date you started contracting or number of months you have been contracting, your average day rate, your VAT rate if applicable, your annual PAYE salary, how much you claim on travel and subsistence on a monthly basis, and how much you spend on business insurance and accountancy fees per month. 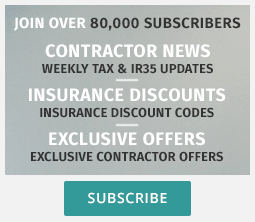 Subsribe to our newsletter and we’ll update you when our online IR35 calculator is ready. Looking for more IR35 information?